- Upon formation, what should be the name of this State? Who would be the Premier? Who would be the two Senators who represent this State? Who would be the Senator that represents the super-State for the Antarctica? The CSIRO has regions for projecting the impact of Climate Change. See https://www.climatechangeinaustralia.gov.au/en/climate-projections/futur... This state, Nyabing State (Q), is one of the clear projections in a CSIRO cluster called "Southern & South-Western Flatlands region". 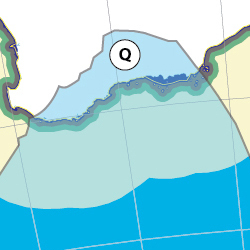 CSIRO's Southern & South-Western Flatlands region coincides with BloggerMe's N,P,Q, and a tiny bit of X and a tiny bit of R.
"Unlike in the Arctic, where sea ice has suffered a drastic decline in recent years, a Dutch study has shown that sea ice in the Antarctic has expanded significantly since 1985 ..."
"When it comes to climate change, temperature is only part of the story. Climate gases released by human activity are dissolving into the oceans, and the increased levels of COâ‚‚ are making the waters more acid. This process threatens marine life from coral reefs to fragile polar ecosystems. It seems likely that the polar oceans will be the first to feel the full force of ocean acidification. These cold seas may provide an important lesson for Australia’s warmer waters." Enviro minister Tony Burke has announced new Antarctic ice core drilling mission, in the Aurora Basin. Traces 2000yrs of #climate history. This is the third time I've been to your website. Thank you for explaining more details. I've learned lots of stuff right here. Certainly worth bookmarking for revisiting. I am surprised how much effort you put to create this type of excellent informative website.